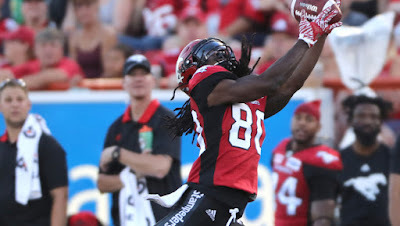 Marken Michel motivated to get better. (fixed link). UConn will wear the bloc "C" on their helmets this year and get new uniforms in 2019. Frank, Do you have any word on a replacement for Joe Connolly, the former strength and conditioning coach? Okay. Now I remember. His profile isn't up yet. Thanks. Stay cool all. Since your raised the subject of lifting, guess who won the the Gold Medal in the Master's Division on April 28th 2018 in the New Hampshire State Championship USAPL Meet? And I set three New Hampshire State records in the 83 Kilogram Masters 4A division. I am blessed that I'm able to complete. In Whip we trust! Michel was thrown to the curb by Molnar, one of Whip’s 1st moves was to get Marken back in the fold. Patience pays off in 2018 for Marken Michel and UMASS football.